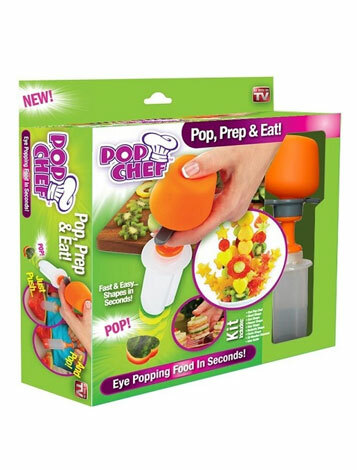 Do you have someone on your list who seems to have every kitchen gadget known to man? Idea Village has some great items that make perfect stocking stuffers that won’t break the bank. This handy tool cuts potatoes and other veggies by simply pushing down on the device. The blades are super sharp and cut with no problems. 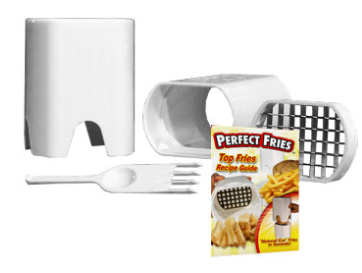 I have used this and after cutting the fries, I then cut them into cubes and made hash browns of sorts. They were delicious and it cut down on prep time. We haven’t used this yet but for as long as I can remember Genghis has been asking for one. This is going in his stocking for Christmas. Basically this makes homemade ice cream in a little as 3 minutes by freezing the container, adding your ingredients, and shaking. I have been eying this for awhile. They actually have them in our local Kroger store and I keep meaning to buy it. Of course now that it is here, I haven’t had any time to use it yet. But soon! 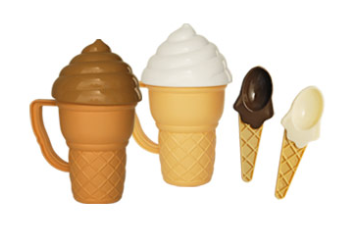 This comes with 14 different shapes so you can make all kinds of fun things with food. Think fruit bouquets, fun sandwiches, and even decorations for cakes and cupcakes. The best part is that all of them items retail for under $20, making them fun gifts that won’t break the bank.